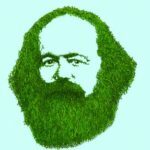 Despite the dire threat posed by our multiple ecological crises, and despite shelves of books theorizing the relationship between capitalism and our ecological crisis, even radical environmentalists find themselves lost for a strategy. How do we move forward? How do we blend the need for a long-term perspective that recognizes the need to transcend capitalism with steps that we can take here and now? 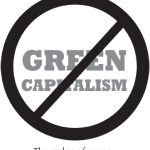 In the following symposium, “Radical Visions and Strategies for the Environmental Movement,” which began as a panel at The Left Forum 2017, three longtime eco-socialist thinkers and activists tackle this all-important issue. [PDF][Print]Demands for a Green New Deal (GND) are a beacon of hope in an otherwise dystopian contemporary landscape. In her platform document, for example, newly elected Representative and Democratic Socialist Alexandria Ocasio-Cortez states that “it’s time . . .